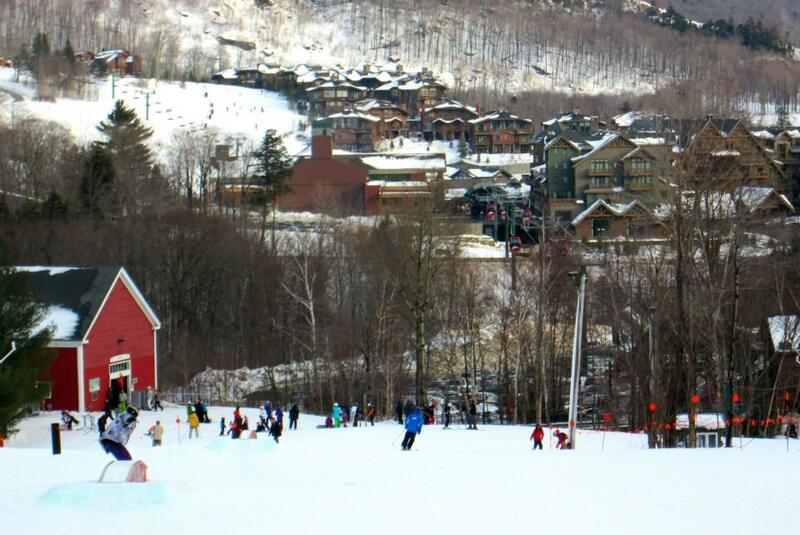 When you picture a rustic Vermont getaway, the image in your head is likely Stowe. With it’s picturesque landscape and quaint small town feel it’s the quintessential Vermont mountain town. That said, don’t be fooled by its charming appearance… behind that quaint exterior lies a badass and East Coast legend! A combination of versatile terrain, natural snowfall and a town that defines the concept of “last call, first chair”… how could we not OvRride Stowe?!? I mean, c’mon… Did you know Stowe’s MT Mansfield is VT’s tallest peak (4,395 ft) and offers above the tree line riding & skiing? 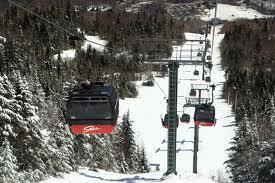 Or that there’s a gondola connecting Mt Mansfield to Spruce Peak with an unparalleled view of the Green Mountains and the town of Stowe? Conveniently located a short shuttle bus ride to the base of Mount Masfield, Rooms are based on double occupancy and include a choice 2 separate beds or one king or queen-sized beds. Each room features its own private deck. Breakfast is included in the morning, compliments of the Inn After a full day on the mountain, enjoy The Mountaineer’s large indoor heated swimming pool, sauna and 20 person hot tub. If you prefer you can relax on your private deck overlooking the West Branch River or join the group fire side in the lounge. Sun & Ski also has a pool and hot tub facility right on the premises. Transportation couldn’t get more convenient. Options include local taxi service as well as a free shuttle. The shuttle will allow you to plan a night out on the town, as well as any day excursion if you choose not to snowboard or ski. Head to to town and do some site seeing, shopping or antiquing! Get shuttle details here. With 3 peaks, Stowe’s landscape is legendary. Take a few minutes to warm up and take it all in on the gondola connecting Mount Mansfield to Spruce peak. Check out the mountain fist hand- view the virtual tour on Stowe’s website. Take your pick from scenic groomers to tree runs full of powder stashes. With 116 trails and 485 skiable acres, choosing a favorite will be tough. If you’re a park rat- we’ve got you covered! With four parks, you’ll be sure to find a favorite jib or a hit to air. Don’t miss your chance to experience one of Vermont’s premiere mountain experiences. Join us on Facebook and #DontMissTheBus! This entry was posted in Lara's Blog, Trips and tagged Stowe, Vermont, Vermont trips, Vermont weekend, weekend trip. Bookmark the permalink.